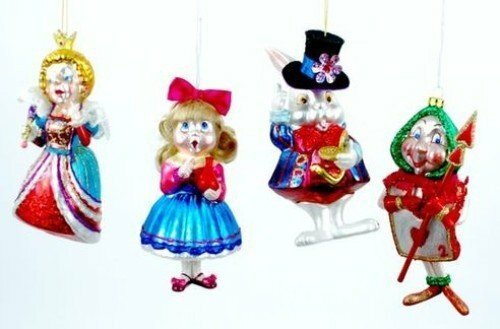 This set by One Hundred 80 Degrees includes four Alice in Wonderland themed ornaments. These wonderfully crafted ornaments made from blown glass have an old-world flair that will make a great addition to any holiday decoration. Ornaments vary in height from 5" to 6". Ornaments vary in height from 5" to 6"
If you have any questions about this product by One Hundred 80 Degrees, contact us by completing and submitting the form below. If you are looking for a specif part number, please include it with your message.